Scholarship for residents of Houston, Texas and surrounding region who are incoming freshmen accepted to Vanderbilt University. 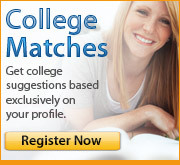 Selection is based on academic merit, leadership, ACT/SAT scores, an essay, and recommendations. Students need only to complete the admissions application to be considered for this award. Number of awards may vary. Award amount usually is for partial tuition, but may cover up to full-tuition. Renewable.